The Western Cape’s Garden Route is rightly a well-trodden path for international visitors to South Africa, while Kruger is known worldwide as an iconic safari destination. 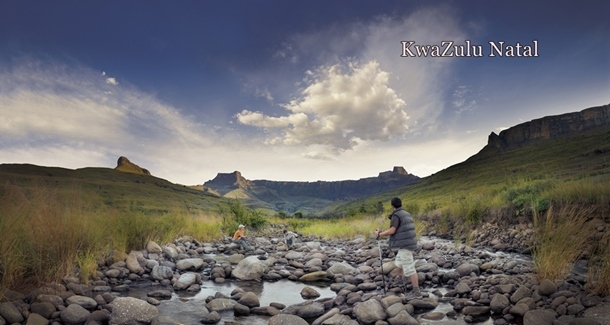 But for those wishing to escape ‘well trodden’ and to really get under the skin of South Africa, then we recommend looking east to the tiny province of KwaZulu Natal. KwaZulu Natal may be South Africa’s third smallest province but this doesn’t stop it packing a punch as far as experiences are concerned with two World Heritage sites, fabulous beaches, the Big Five, historic battlefields and a colourful Zulu culture. Our new KwaZulu Natal in Luxury itinerary, brings together the very best of KwaZulu Natal to showcase what can be done in a two week holiday. KwaZulu Natal in Luxury, 15 days from £3,770 per person including international flights, accommodation and car hire. This historic Zulu kingdom is steeped in history and culture, from ancient San Bushmen rock art sites in the UNESCO World Heritage uKhahlamba-Drakensberg mountain range, South Africa’s highest mountain range, to a living museum in Hluhluwe where traditional Zulu dancing and craftwork are demonstrated. The remnants of the British colonial era blend with Zulu, Indian and Afrikaans traditions to give this province a rich cultural diversity. Beautiful beaches stretch every which way from the gateway city of Durban and being on the Indian Ocean coast, the added benefit is that the water is actually warm while shark nets and lifeguards ensure that time in the water surfing and swimming is spent safely. Alluring cafes and sophisticated restaurants line the stylish Umhlanga Rocks area near Durban, perfect for downtime after a long international flight. 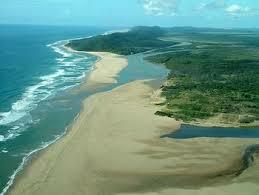 Abundant wildlife can be experienced along the Elephant Coast to the north of Durban. Within iSimangaliso Wetland Park, a 328,000 hectare UNESCO World Heritage Site benefiting from beautiful beach and reef habitats of the Indian Ocean on one side and steamy tropical lake, forest and wetland habitats on the other, visitors can canoe, trek, fish and wander along stunning beaches in search of leatherback turtles, dolphins and whales. Inland at Phinda, a private game reserve, you can stay in luxurious safari camps and see all the Big Five as well as a host of other wildlife including wild dogs. This area is known for its thriving black and white rhino population, following concerted conservation efforts. Take the Midlands Meander, a food and wine trail where farm stalls like Piggly Wiggly, cafes and restaurants beckon. Viticulture is in its first decade of development but there are already notable labels including Abingdon and Lion’s River to sample along the way. 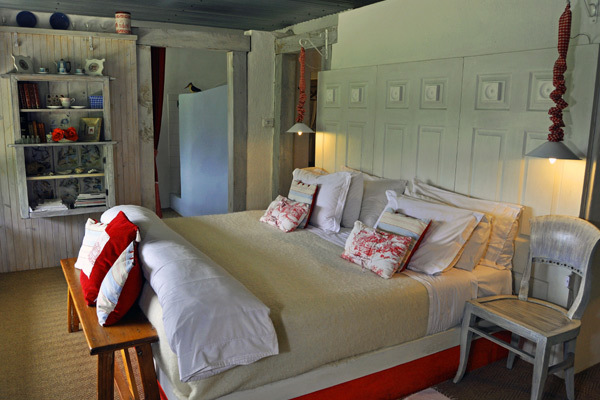 Finish the Meander with a stay at Cleopatra Mountain Farmhouse, a gourmet retreat set in a remote valley on a lake where seven course dinners, mountain walks and roaring log fires are the order of the day. No trip to KwaZulu Natal would be complete without a stay in the Battlefields. An area made famous by the Anglo-Boer Wars. 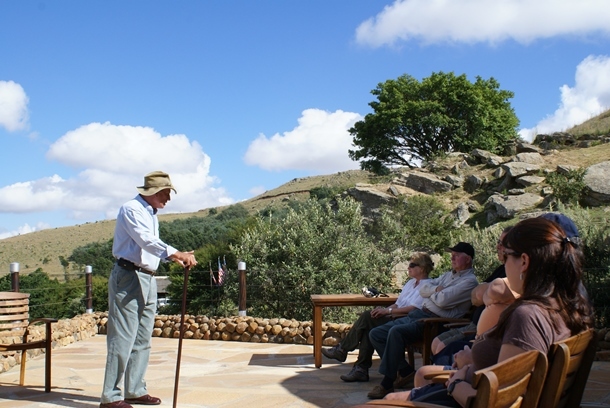 The quiet hills now ring with the voices of expert guides who tell visitors of South Africa’s bloodiest chapter in history, of the struggle at Isandlwana where the British were defeated by the Zulu in 1879 and then just days later how the British defended Rorke’s Drift so gallantly. To find out more about the lodges we offer in KwaZulu Natal, like historic Fugitives’ Drift, or to receive a tailor-made itinerary for South Africa then please do get in touch with us on 01603 283 517. It’s amazing that Ishanga is even alive. When she was found caught by a poacher’s snare in the Tsavo West National park, she was thin, dehydrated and bleeding from the wire. She had been by herself for several days. As the de-snaring team approached her she was attacked by a pride of lions drawn by the blood. A lioness grabbed her by the throat and only fled when shots were fired into the air. She was weak, starving, injured and now terrified. Taken straight to the airstrip, she was flown to the orphanage in Nairobi. She was so traumatised that she refused all milk and water and the rescue team where very worried for her. The next day she finally took some milk but then collapsed, and only dedicated nursing, saline drips and several injections got her back on her feet. It was decided to introduce her to the other orphans immediately, to let her see and mix with other elephants. Being around a year old she had been used to other elephants and the new company had the desired effect. She immediately settled down and followed the others lead in feeding and playing. To watch the elephants being fed and Solio having a dustbath please click on the video link. Now 8 months later she is settled and happy, enjoying her milk (and everybody else’s if she gets the chance..) and causing mischief. We’ll be giving regular updates of her progress as she grows and learns how to be an elephant. We will also follow her as she is eventually relocated back to Tsavo National Park and released back into the wild. It’s going to be a long and dangerous journey but she’s already one of the fortunate ones. Had it not been for the prompt action of the de-snaring team and the expertise of the Sheldrick Wildlife Trust, she would have been dead a long time ago. Watching wildlife conservation from a different continent it’s easy to assume that animals in the National Parks are safe. Kenya, with its established parks and wildlife services, is very determined to stamp out poaching. But the truth is that their resources are hopelessly insufficient. At Mount Kenya alone, 26 elephants are known to have been poached already in 2011. What chance do elephants living outside protected parks and reserves have? As well as following Ishanga, we will be giving updates on the work of the Sheldrick Wildlife Trust, its orphan programme as well as the other conservation work it does. We will also be following Solio, an 18 month old black rhino, who we’ve also sponsored. More about her soon.